With this product you can accumulate up to 79 Glitter Points. 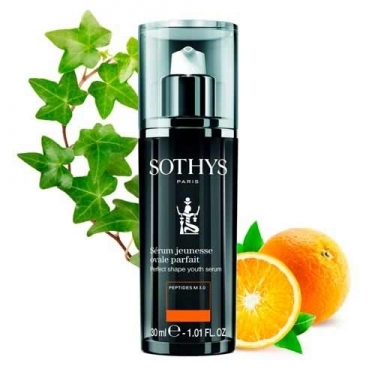 DESCRIPTION: Sérum Jeunesse Oval Parfait from Sothys is an M3.0 peptide serum that has been specially designed for those who, from the age of 25, want to preserve the youth of the oval and colon. 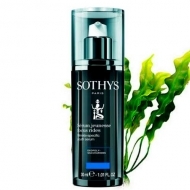 Inspired by two innovative dermoesthetic techniques, this instant-shaping wrapping texture serum redefines the oval of the face and contributes to preserving its contour and smoothing the cervix. 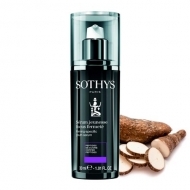 Active Ingredients: Cassava sugar, a perfectly formed juvenile serum; 3D elastic film on skin surface for immediate lifting effect; Ivy Extract Serum, which promotes the elimination of water accumulated inside tissues; Bigarade flower extract, whose active ingredient stimulates lipolysis and helps to clear the adipose tissue; Marine oligosaccharides, a true molecular trap to disrupt the fat storage process and stimulate lipolysis; Peptide M3.0 (serum) that enhances collagen synthesis, ensures an effective and durable dermal structure to lift the face and restore texture and tone.